This impressive course borders the Ria Formosa nature reserve and enjoys spectacular ocean views. 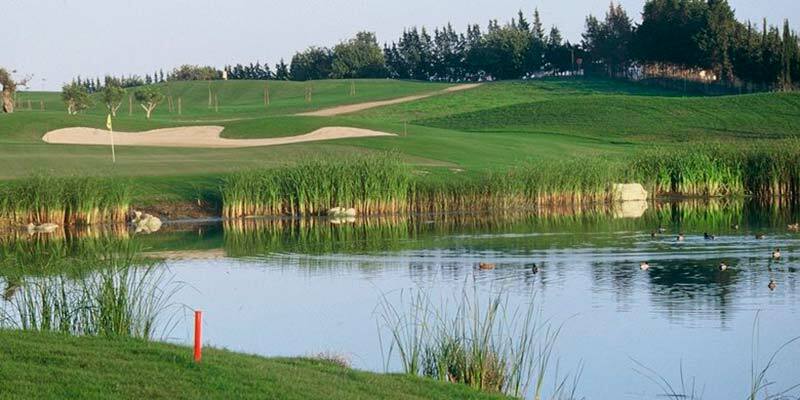 Five man-made lakes have been added to the scenic, undulating terrain to provide a memorable golfing challenge. This course provides an interesting challenge to golfers of all standards. Holes 4, 5, 6 and 13 are crossed by a stream and careful club selection is vital. Sand traps are also numerous and varied, adding to the need for total concentration.